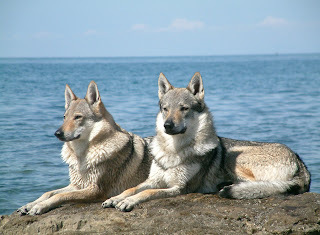 Czechoslovakian Wolfdog is a relatively new breed of dogs having developed in 1955 by the crossing of German Shepherd Dog and Eurasian wolves. It was made for use in military but was later used in search, rescue and tracking operations and also for herding cattle. They do best in cold environment. They are a rare breed. This breed has no known health problems because of being rare. However, they do suffer from hip dysplasia. Their life expectancy is 12 to 16 years.